The Pixel 2 is the smaller smartphone in Google’s current line-up, sitting below the Google Pixel 2 XL. 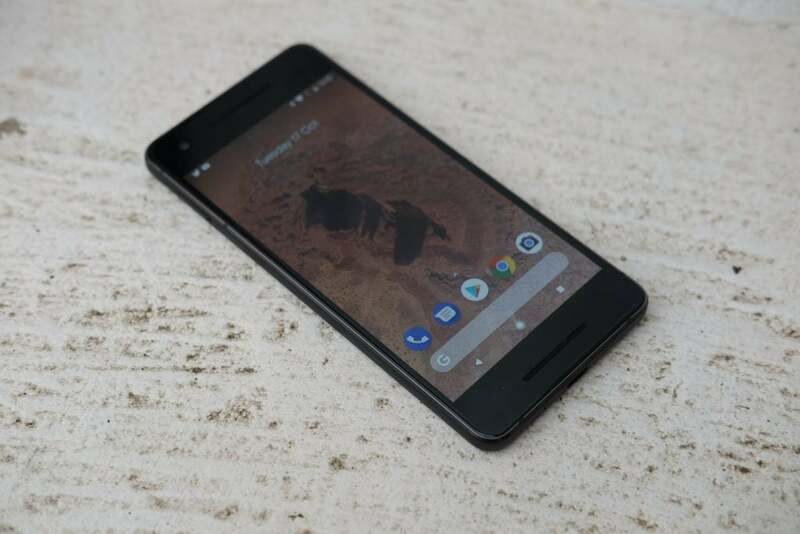 Almost a year on from its original launch, the Pixel 2 has stood the test of time well and is still one of the best small-form-factor Android phones around. Despite being more expensive we’d still recommend it over Apple’s dinky iPhone SE, which finally got pushed off Apple’s website with the arrival of the new iPhone XS, iPhone XS Max and iPhone XR, all of which are without question large handsets. With long-term use battery degradation is starting to rear its ugly head but the Pixel 2’s performance and camera remain top notch and easily match newer phones, like the Galaxy S9, OnePlus 6 and even the aforementioned XS. However, with the fabled Google Pixel 3 set to make its debut on October 9 and the company charging a reduced, but still hefty £629 for the Pixel 2, it’s time in the sun is coming to a close. We’d recommend waiting to see what the Pixel 3 brings to the table as a result. If that’s not an option read on for an in-depth look at how the Pixel 2 compares to this year’s flagships. Giving them plenty of space should help connectivity, but it also means there are no antenna bands elsewhere. Over the last year the glass has proved surprisingly scratch resistant but be warned, a single drop can turn it into a mosaic pattern of cracks. The below happened after a two-foot fall from a coffee table onto a wooden floor. The front also feels a little old-fashioned. Unlike the Pixel 2 XL or Samsung Galaxy S9, the Pixel 2 has a huge chin and forehead beneath and above its 5-inch display. The bezel here is more substantial than seen on the likes of the iPhone 8. Overall, the Pixel 2 isn’t much smaller than the Samsung Galaxy S9 or Huawei P20, but those sport much bigger 5.8-inch screens. 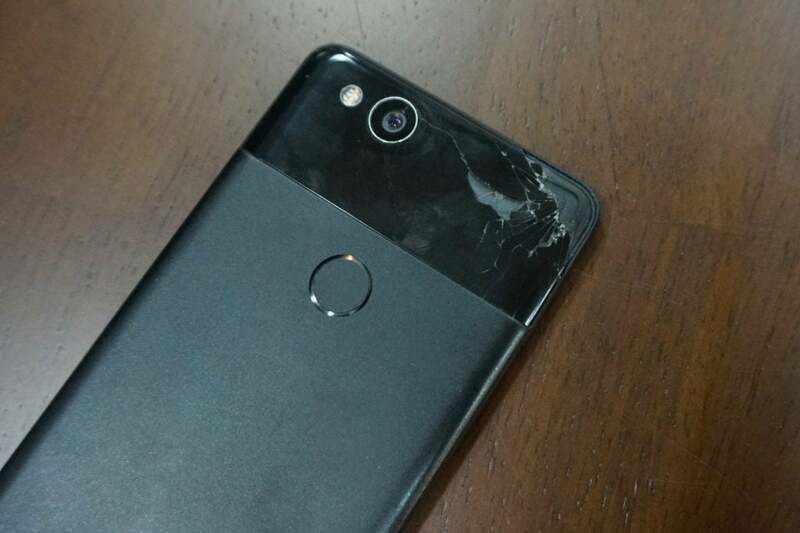 The Pixel 2 lags behind most flagships with IP67, in place of IP68, dust and water resistance but the practical implications of a lesser IP rating are slight and having something is undoubtedly better than nothing. There isn’t a whole lot to get excited about with regards to the Pixel 2’s screen. As in the first iteration of the device, it’s a 5-inch, 1080p AMOLED panel that looks good but is short of stunning. Probably the single biggest feature lacking from the panels on both the Pixel 2 and Pixel 2 XL is support for high dynamic range or HDR. The ability to playback HDR10 and Dolby Vision content from the likes of Amazon and Netflix is available on the Galaxy Note 9, LG G7 and Apple’s iPhone XS – but it isn’t available on the Pixel 2. This is by no means a deal-breaker but it’s an odd feature to leave out when Google Play Movies and YouTube offer HDR support.